Our conveniently located South Melbourne coin laundry is a great choice for local residents and travellers alike. With a huge number of washers and dryers, including big models ideal for doonas and bulky items, our facilities are perfect for all of your washing needs. We have ample bench space for folding and a relaxing area to wait for your cycle to finish. We offer a full range of services at unbeatable prices. 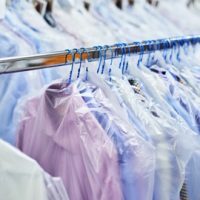 We use state-of-the-art dry cleaning technology to ensure the most thorough clean, without risking any damage to your fabrics. Restore a precious garment or keep your corporate wear in top condition with Laundry Spa’s premium dry cleaning care. 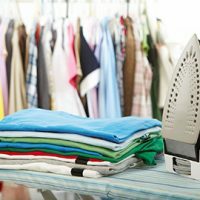 With our ironing services, you will never have to wear a crinkled shirt again. Whether you’re a young professional who needs business attire looked after, or you’re the manager of a large apartment block and need your linen serviced regularly, we can assist. 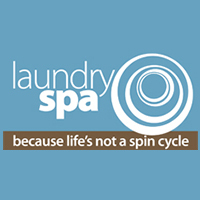 Laundry Spa – the perfect choice for individuals and businesses. 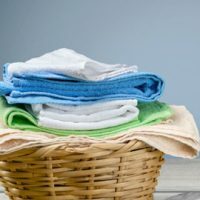 Our new specialised service, tailored to businesses such as massage services, hairdressers, beauticians, nail spas – we will pick up towels from your businesss for free, launder them and deliver them (also free) promptly in pristine condition. We will clean towels you provide, or we can supply them at low prices. 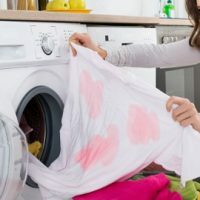 Have you got a stubborn stain on an item that you can’t seem to get out? Well, before you go out buying new clothing or linen come down and see us. Our stain removal makes easy work of the most ingrained marks. From coffee and wine to gravy, sauce, ink, grease and even cigarette stains, we will remove the marks and get your items looking fabulous again. How often have you said, or heard someone say, ‘There are never enough hours in the day?’ Between work, family, housework and the little time you get to yourself, don’t you wish you could free up just a little extra time for yourself by delegating one of your other obligations? 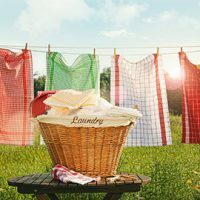 Laundry Spa in South Melbourne offers same day laundry pickup and delivery for residential and commercial clients alike, enabling you to focus on the more important parts of your job or your day.